Answering Questions - You post a question on our Facebook, and we provide an answer to help you and others that have the same question. Strip Only - We remove the old finish and then give it back to you so you can work your creative magic. "How To" Workshops - We have had so many requests for this! 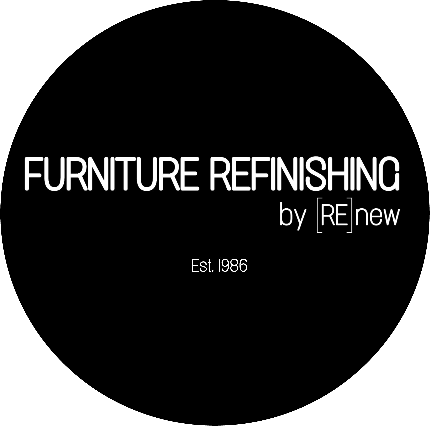 We are currently working on a model for a DIY Furniture Refinishing workshop to offer to interested individuals at our studio. More details to come! "When my wife and I found out we were pregnant, I immediately knew I wanted to build a crib. Once that project was finished we decided to paint the nursery. The next thing I wanted was a nice, solid rocking chair to go with the crib. Because after all...what’s a nursery without a rocking chair? A solid-wood, comfortable, and attractive chair brand new was way out of my budget. 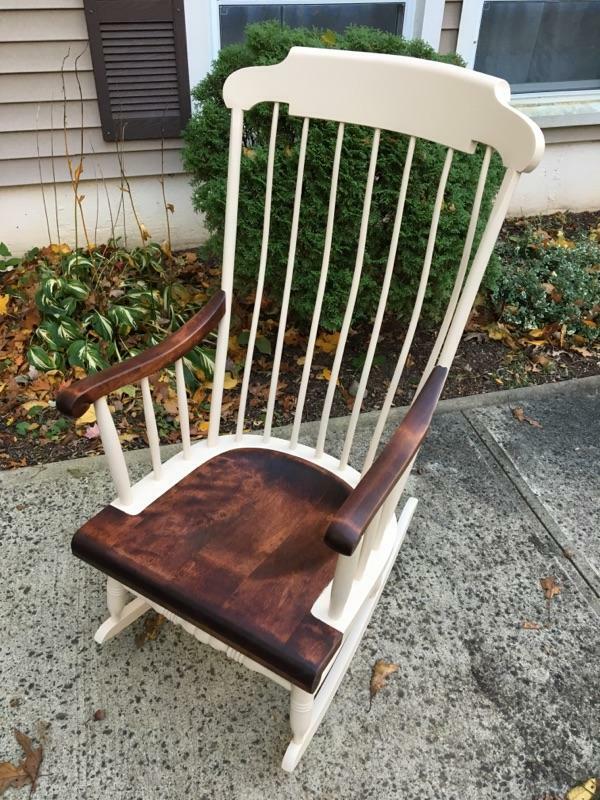 My next thought was to refinish an older chair. I love the idea of taking something old and making it new again. My plan was to go to Goodwill and some Habitat for Humanity Re-stores to see what I could find, but thought I would check with my dad first. He is a contractor and often has random older pieces of furniture that need a little work lying around. I was in luck! 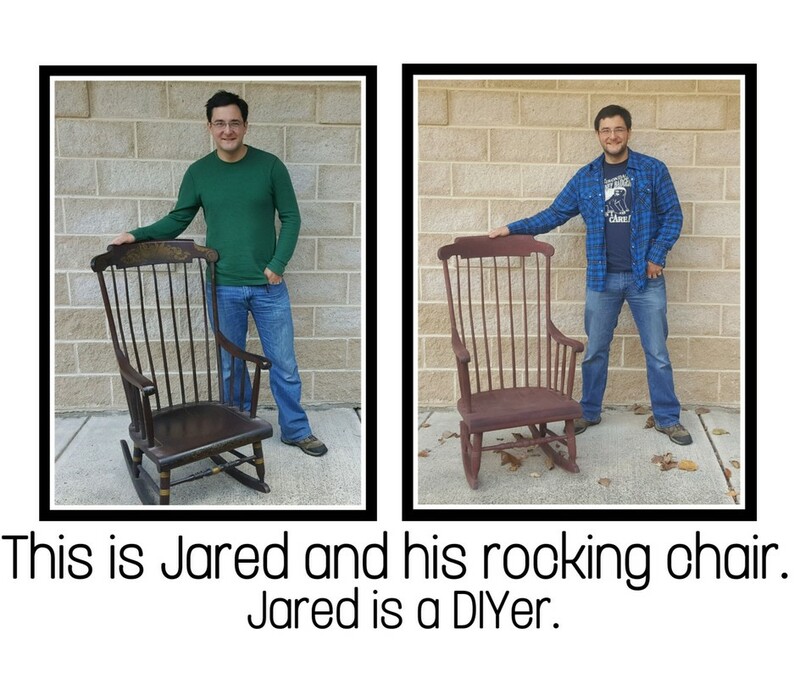 He had two rockers in his basement that he had gotten from a client. I picked the more classic looking, comfortable, and solid maple chair. I knew I wanted to refinish the chair, but definitely did not want to sand or strip the entire chair. I called Gary at [RE]new furniture to ask if he had any professional advice for me, and that’s when he told me that they were looking to start really coming along-side the DIY community by offering furniture stripping for DIY clients as well as other helpful and reasonbly priced services." "This was perfect! I brought him the chair and a few days later I had it back completely stripped of the finish. It turns out the wood was dyed so it had a deep red tint to it underneath all the finish. I considered simply putting a clear coat on at that point because the red was really beautiful, but I wanted the chair to somewhat match the crib. I decided to sand and stain the arms and seat, and paint the legs, spindles, and the top. It turns out that sanding dyed wood is not an easy task. As I learned, dye soaks much deeper into wood than stain does. Once I had sanded out an acceptable amount of dye I used the same stain as I did on the crib. I used a simple Minwax stain called English Chestnut. The stain ended up being a little darker than the crib, but I had a feeling that would happen because of the residual dye in the wood. Overall, I was pleased with the stain color. Before I painted the rest of the chair I finished the seat and arms with minwax spray lacquer. I sprayed two coats and learned at that point what the term “blushing” means. Blushing is when a finish dries to a hazy, almost white color because too much moisture was trapped in the finish. Lacquer needs a very dry environment to dry, and I was spraying in my garage on a day with 87% humidity. I did some quick research, sanded the surface with a 400 grit sand paper and wiped it clean." 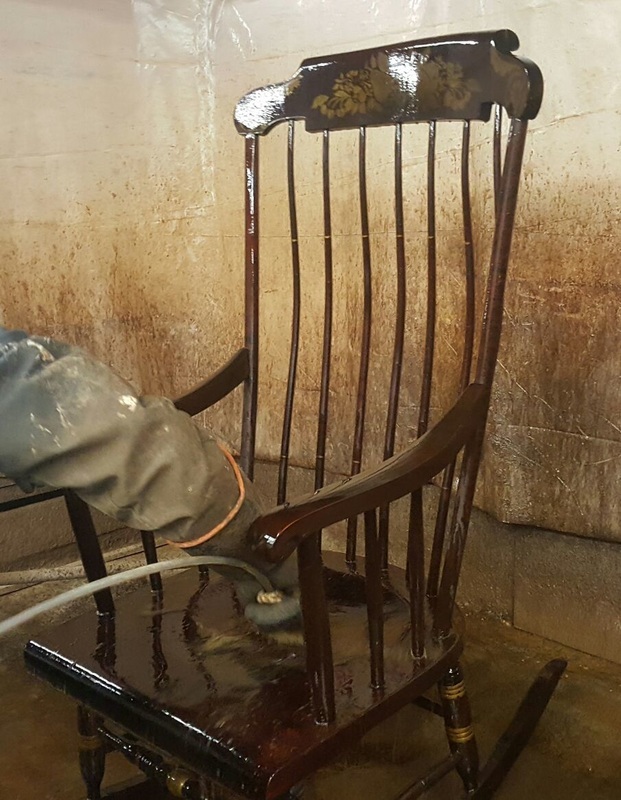 "At this point I sprayed another coat of lacquer and immediately brought the chair inside to a nice, dry, air-conditioned room. The blushing was gone at this point, and once the finish dried I prepped the chair for painting. I knew from the get go that I would spray paint the chair. Spray painting allows for more even coverage and a nice smooth finish. After 3 coats of spray paint and some time to dry, I put the rocker in the nursery and it looks great! Having the chair stripped for me by the [RE]new furniture team made this project so much more efficient and enjoyable. 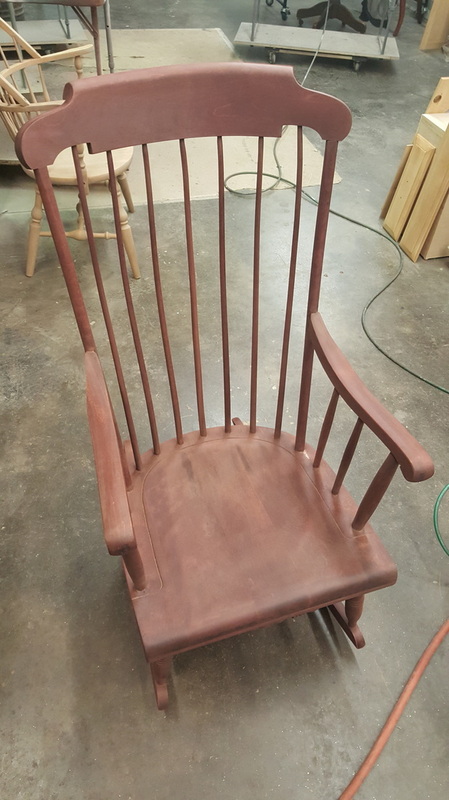 Not having to worry about getting off the old finish allowed me to focus what I wanted the chair to look like. My next project will be an old oak dresser that I will be re-building the drawers and refinishing to also match the crib and the chair. If you like to do this type of project, but like me you hate stripping and sanding, having [RE]new furniture strip it for you makes life much, much easier."